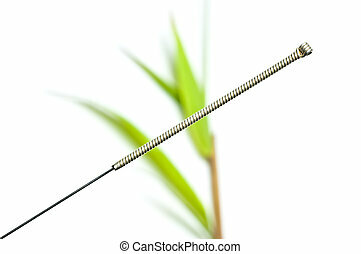 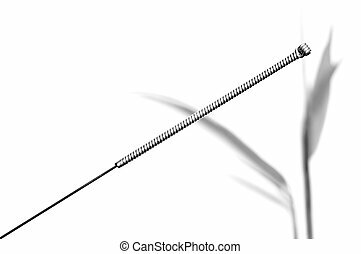 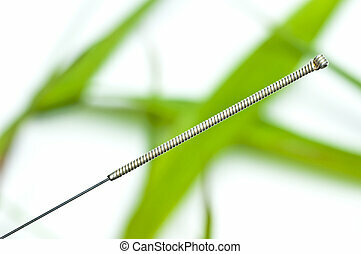 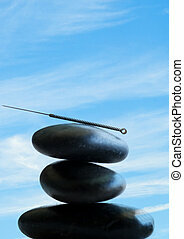 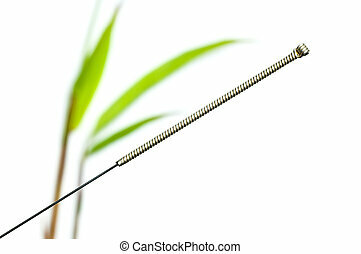 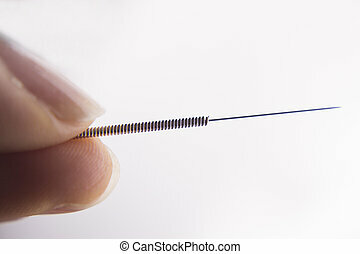 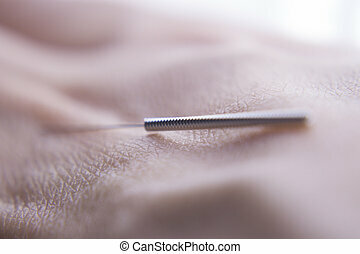 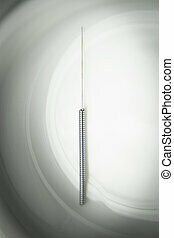 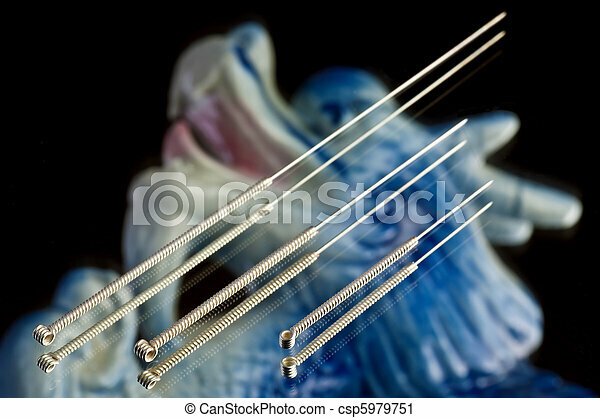 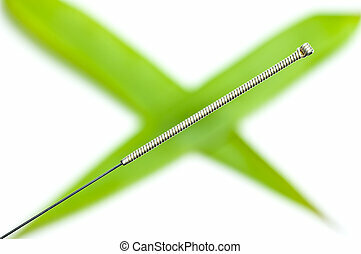 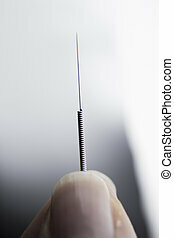 Macro image of an acupuncture needle in the skin of a pacient. 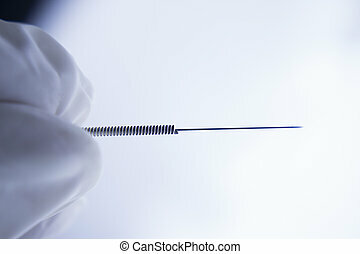 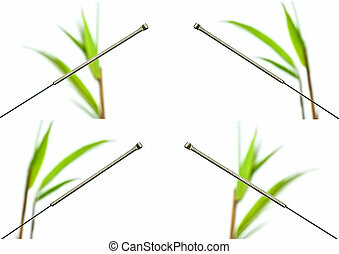 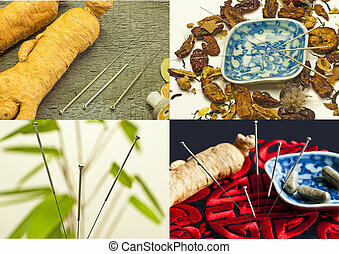 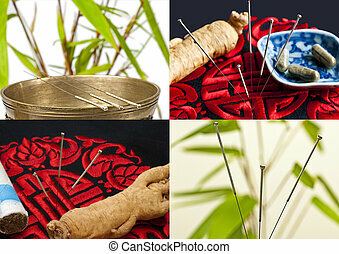 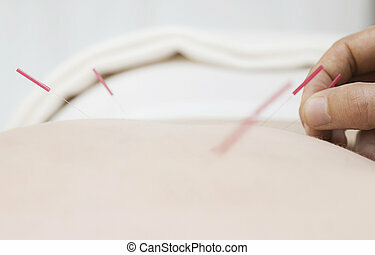 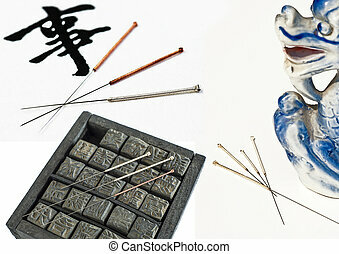 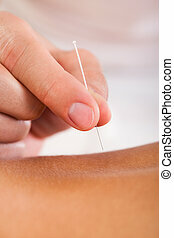 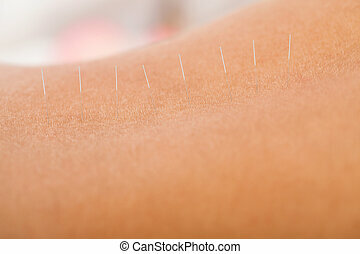 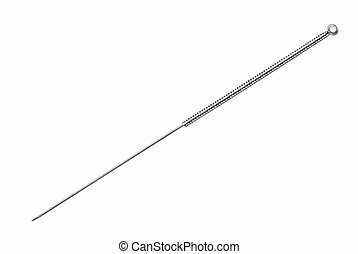 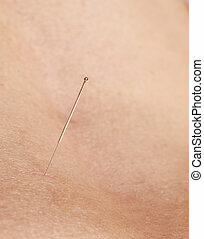 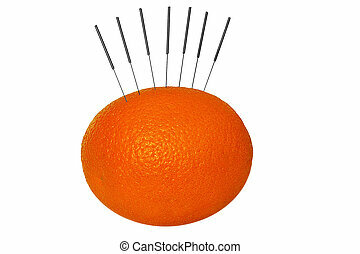 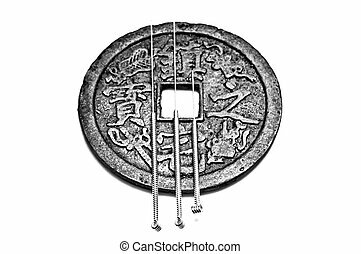 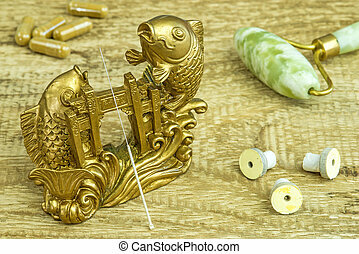 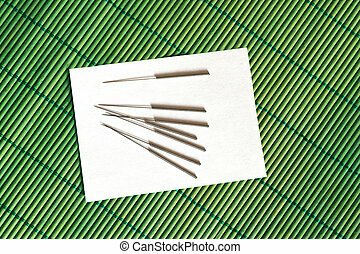 Acupuncture needle inserted by experienced professional only. 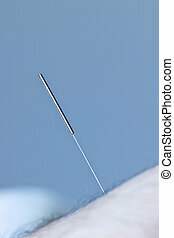 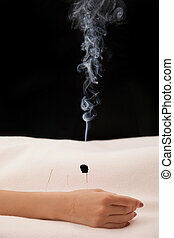 Silver needle acupuncture on an isolated white background.